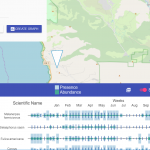 I am assisting with a development project, and as part of the development process, we need to do NEPA, or conduct an analysis of potential impacts to migratory birds. 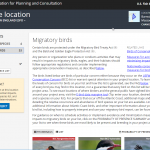 Please also see Recommendations for Incorporating Migratory Bird Considerations into Environmental Reviews on the Federal Avian Data Center (currently in development). 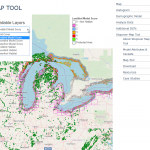 I am building a wind facility in the Great Lakes area and want to see where my facilities could be having the greatest impact on birds, and birds of conservation concern in particular, so that I can avoid those areas.